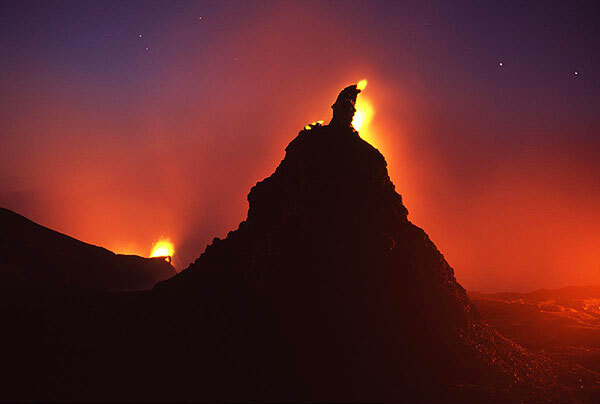 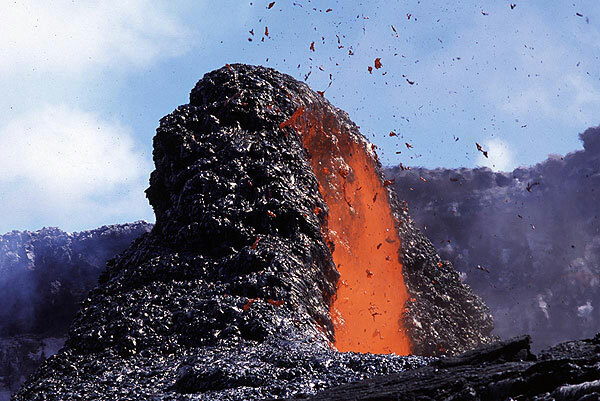 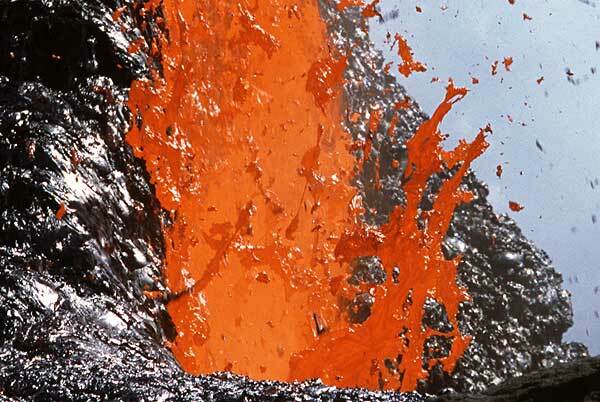 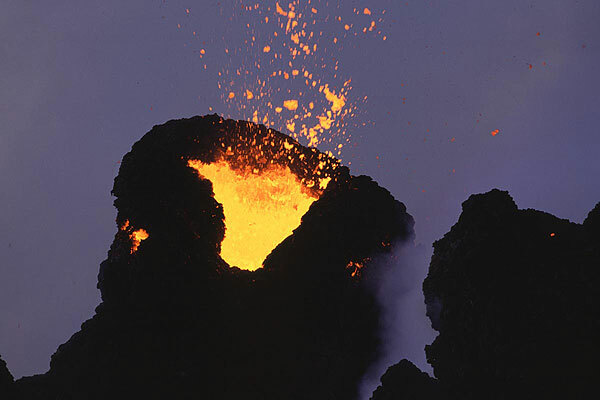 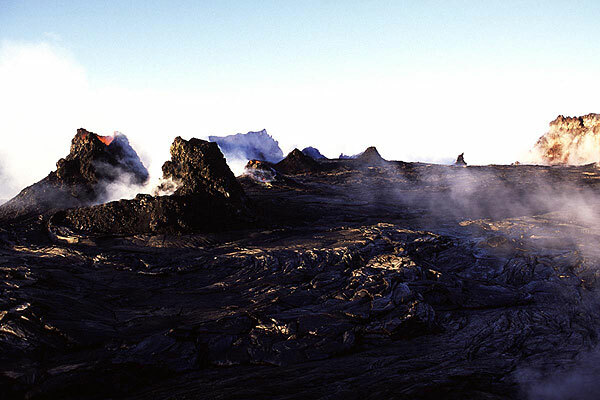 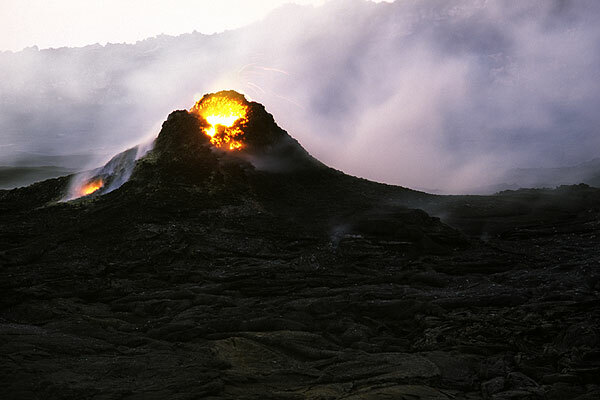 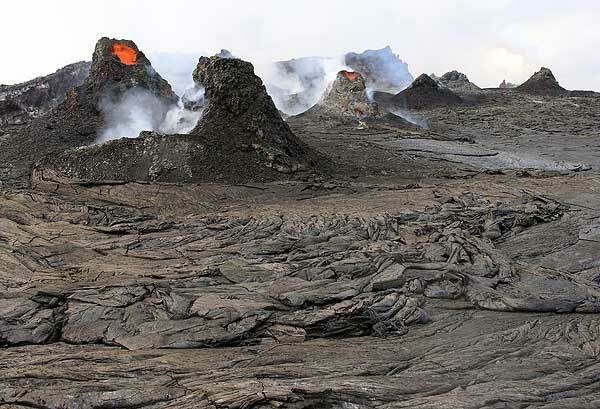 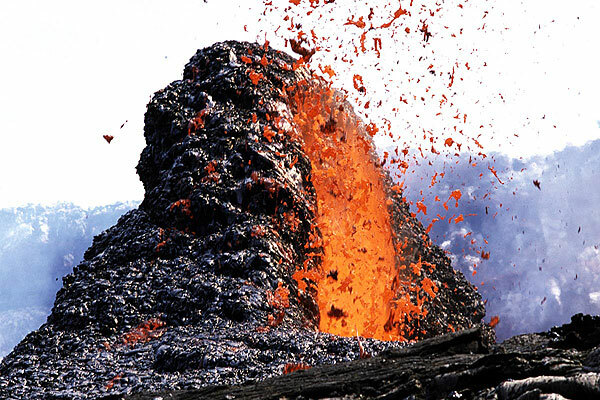 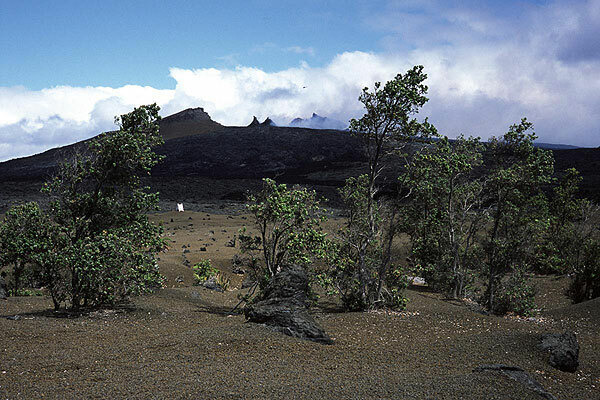 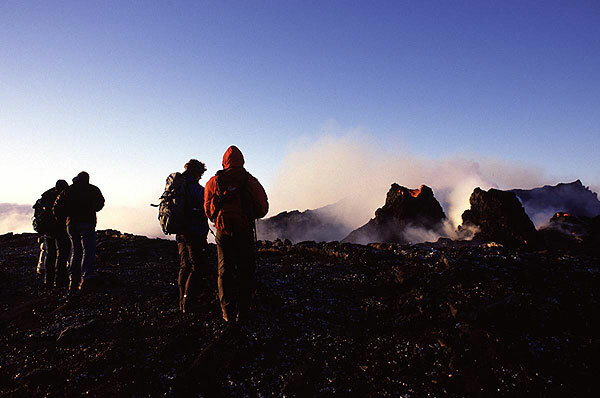 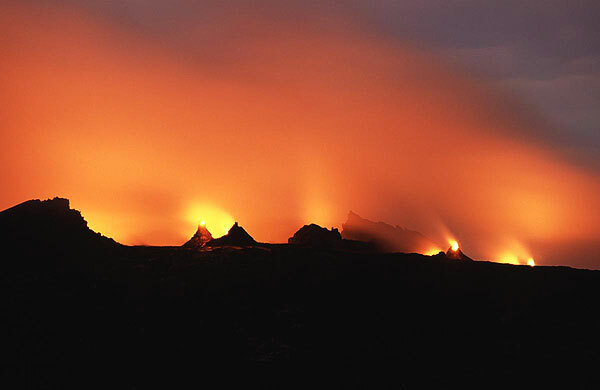 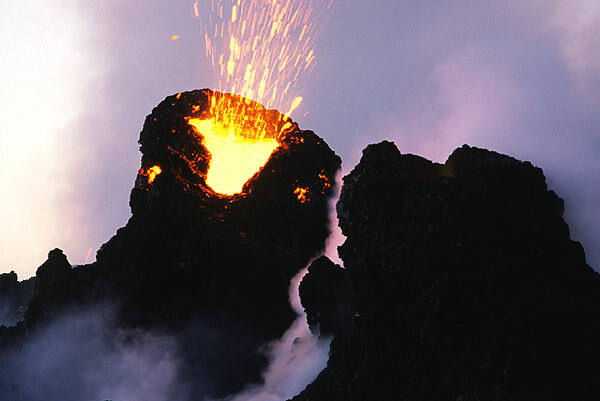 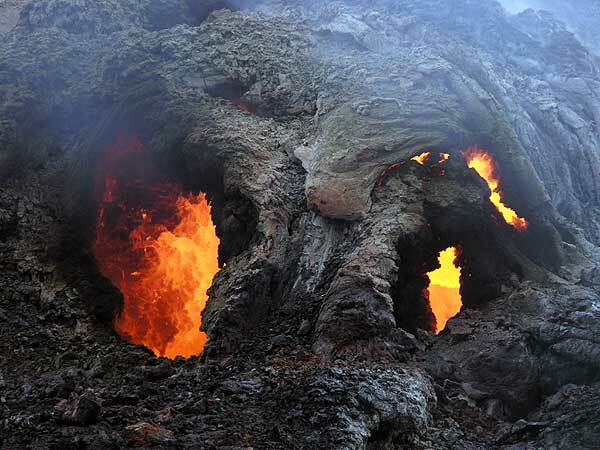 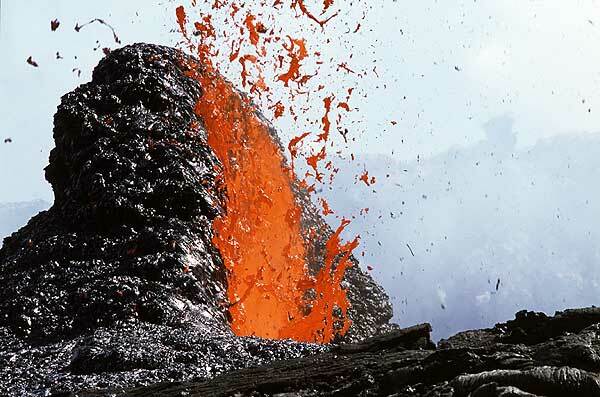 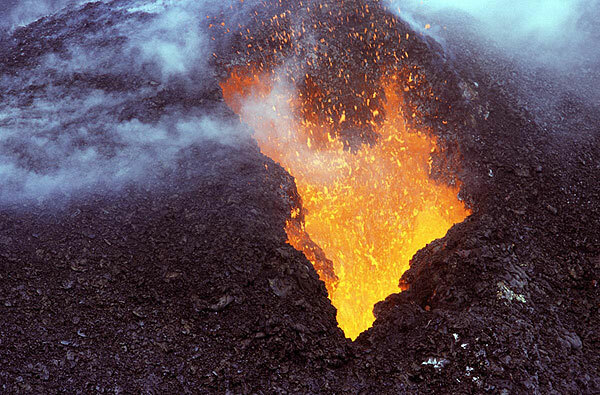 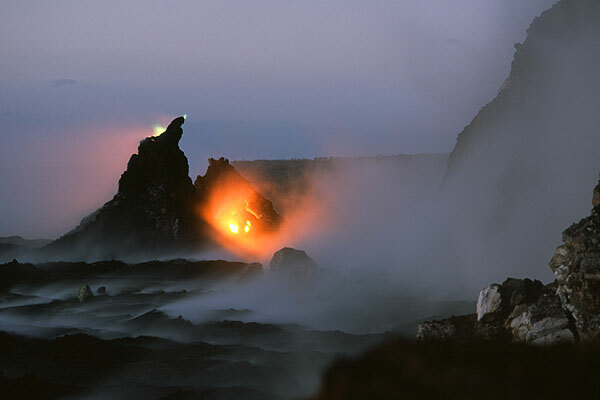 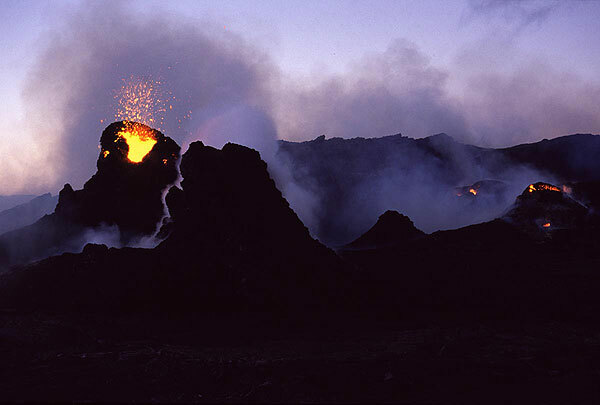 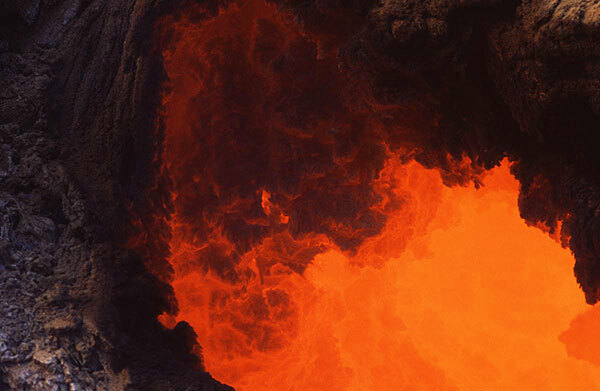 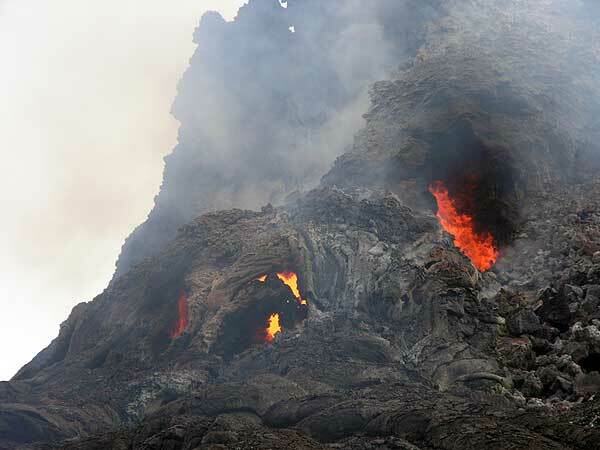 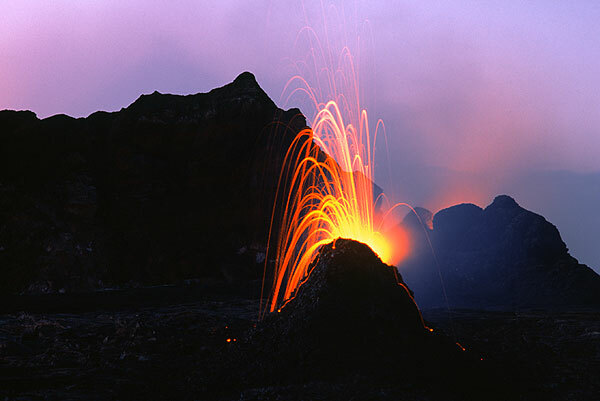 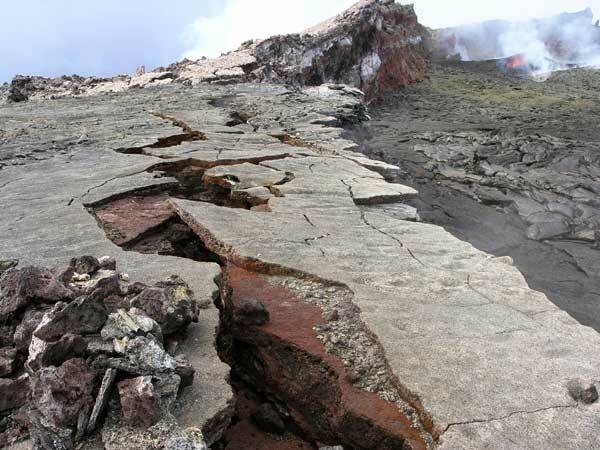 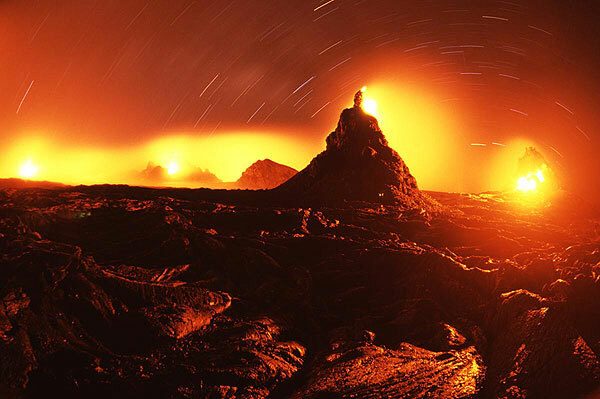 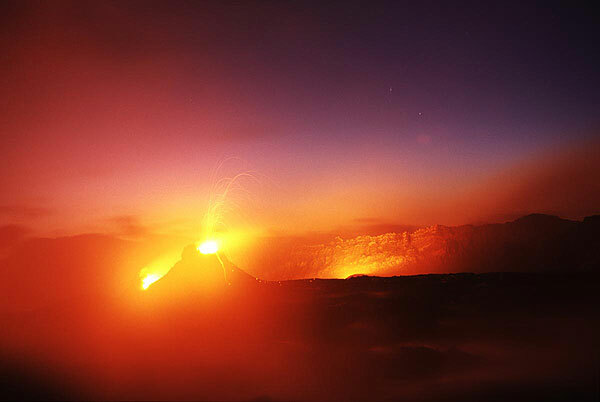 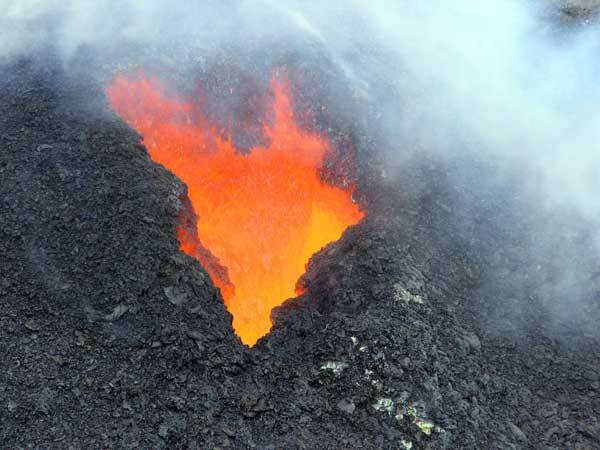 As of Feb. 2005, the crater of Pu'u 'O'o was almost completely filled with lava flows and recent flows have overspilled on the N side. 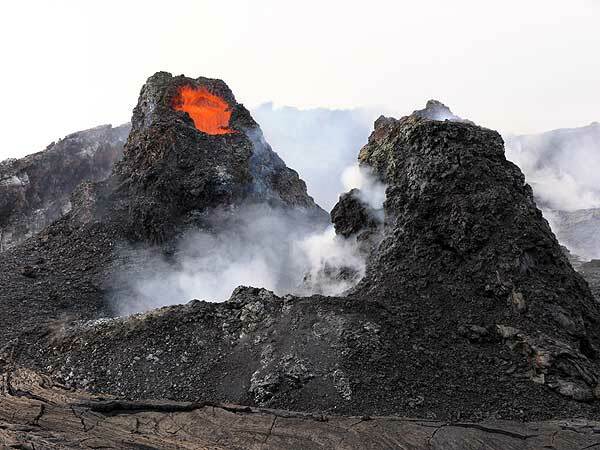 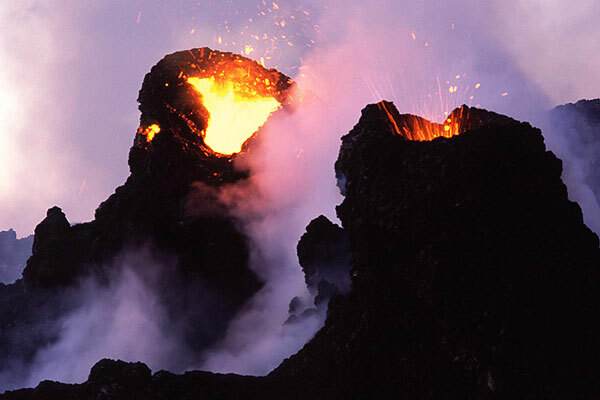 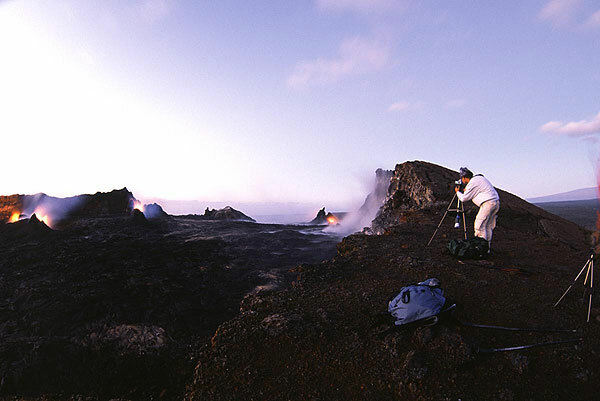 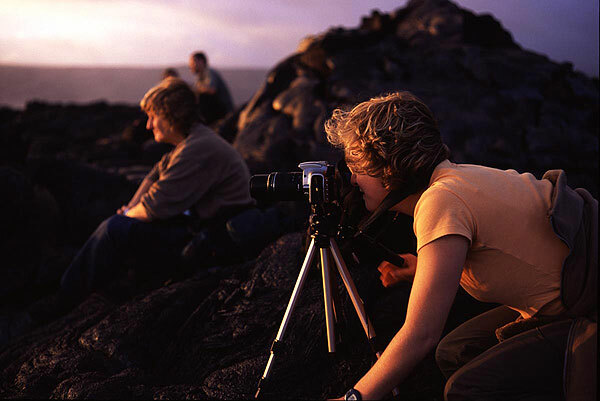 On a visit by the VolcanoDiscovery team on 10 Feb. 2005, we were surprised to observe strong spattering from the July vent inside Pu'u 'O'o crater (photo on the right is enlarged section of 3rd photo). 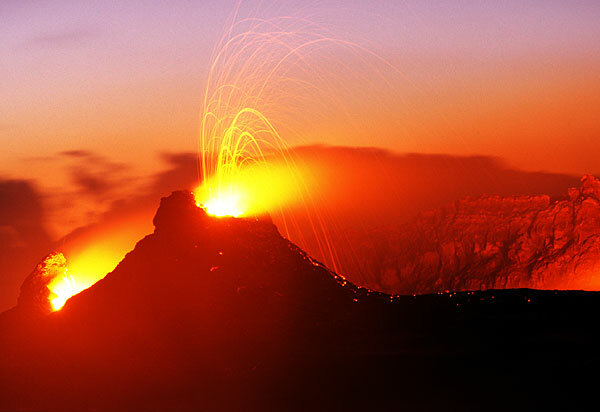 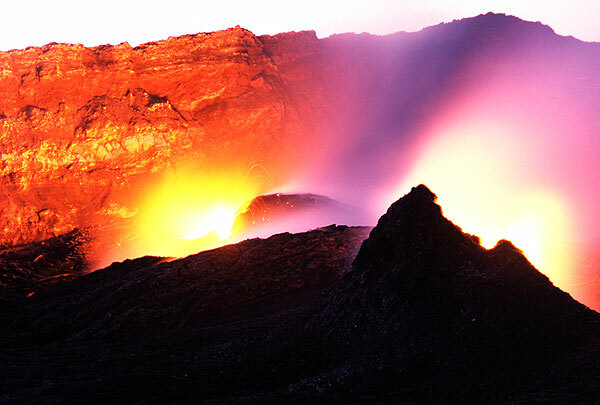 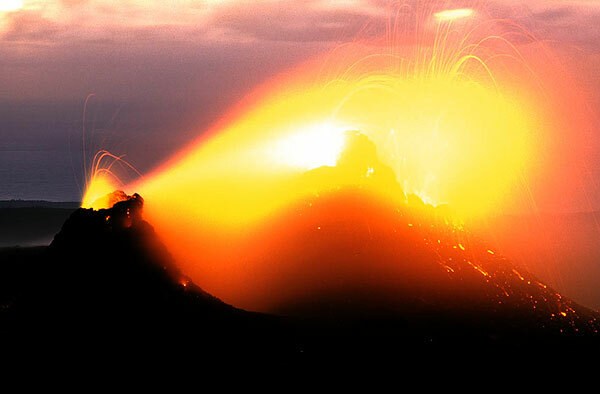 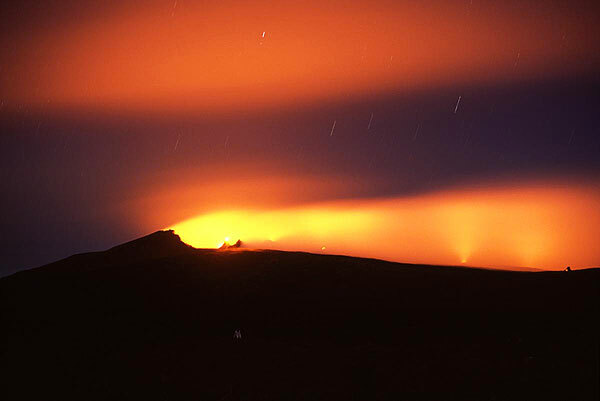 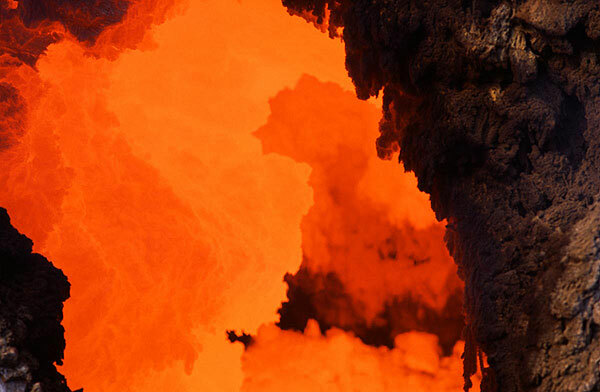 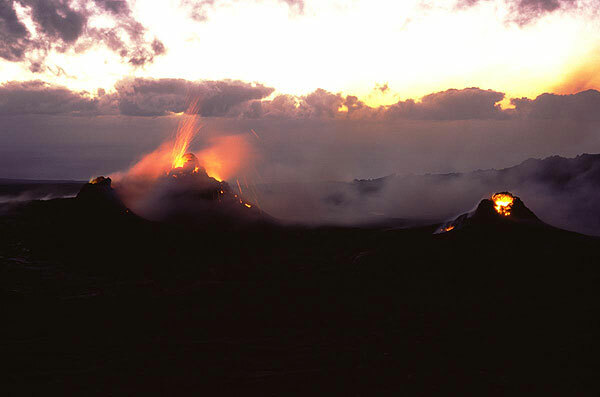 Bright glow from the W gap vents; many more spattering or at least glowing vents inside Pu'u 'O'o's crater seen on the r photo.